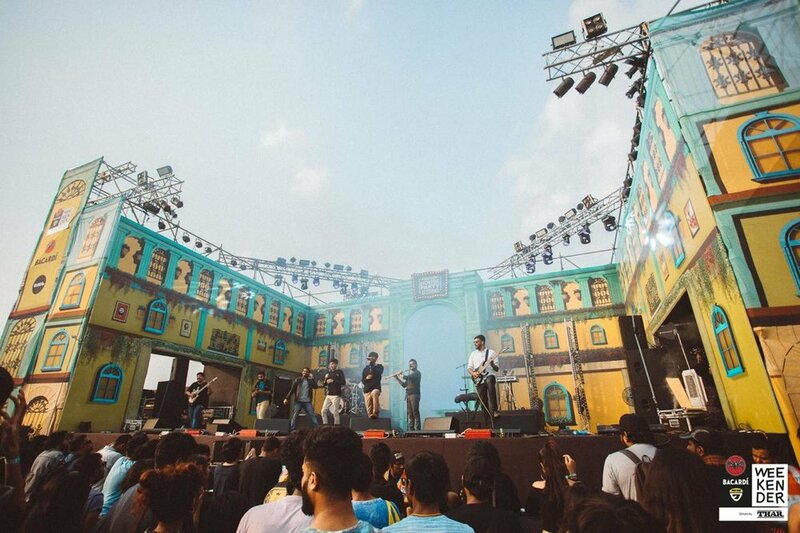 We're definitely not exagerrating when we say that NH7 Weekender is like the Mecca of indie music in India. Every year, thousands of people from all over the country will flock to the venues for a carefree, enchanting and much needed 'Weekender State of Mind' over the three days of the festival. Playing at NH7 Weekender has been on our bucket list since a long time and this year, our dream finally became a reality at NH7 Weekender, Pune! Despite an early slot, it was very heart-warming and encouraging to see so many people turn up early for our set. From what people told us, we sounded great and performed even better and that it was the perfect start to the festival they could've had! We watched many amazing acts like Sapta, Worldservice Project, The Contorionist, God is an Astronaut, Funktuation, and the mighty Joe Satriani who inspired us and left us all pumped up for a bigger and better Weekender in 2019! © Pineapple Express India 2018. All Rights Reserved.